How do I buy a Boneheads Franchise? 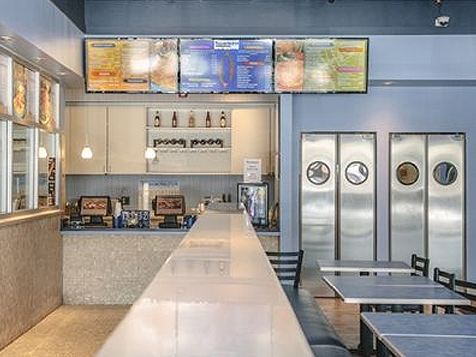 Boneheads franchise is a quick, causal restaurant concept that serves quality seafood and chicken menu items. It's unique open kitchen environment puts the chefs on display where they make fresh food to order. A big draw for consumers is they don't have to go to a formal restaurant to order fish for lunch. 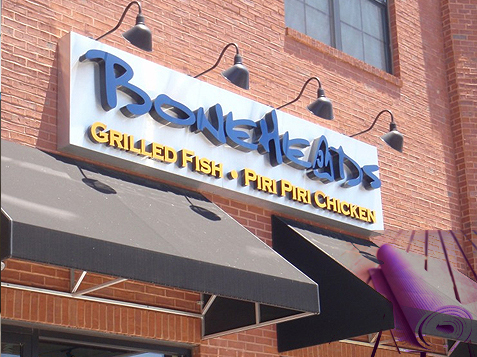 The fire grilled food and seasoned fish give Boneheads a distinct competitive advantage. The Boneheads team provides franchise partners with tools and support to launch and thrive with a unique brand. If you're ready to learn more about the Boneheads revolution complete the form below. Open Boneheads in any of these available states: AL, AK, AZ, AR, CA, CO, DE, FL, GA, ID, IN, IA, KS, KY, LA, ME, MD, MA, MS, MO, MT, NV, NH, NJ, NM, NC, ND, OH, OK, OR, PA, SC, TN, TX, VT, WV, WY, DC. Boneheads is a quick, causal restaurant concept that serves quality seafood and chicken menu items. It's unique open kitchen environment puts the chefs on display where they make fresh food to order. A big draw for consumers is they don't have to go to a formal restaurant to order fish for lunch. The fire grilled food and seasoned fish give Boneheads a distinct competitive advantage. The Boneheads team provides franchise partners with tools and support to launch and thrive with a unique brand. If you're ready to begin the Boneheads revolution read on. What is Included with a Boneheads Business? Ideal Boneheads owners have at least 5+ years in the franchise/restaurant industries. Also, quota driven executive sales professionals with a great entrepreneurial spirit have been very successful. 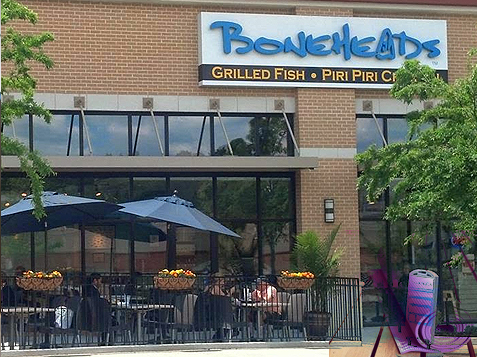 Find out if owning a Boneheads restaurant is right for you! The Boneheads complete turnkey Restaurant Development Support System is designed to assist you every step of the way as you build your franchise. Prime locations are not always easy to come by. Therefore, when you become part of the Boneheads family, our highly experienced real estate team uses a 9-step site evaluation test to help you identify and secure prime real estate sites with the best chance for success. We also assist in lease negotiation for a variety of areas, including price per square foot, build-out time and allowances, renewal terms, etc. Once your lease is signed, the clock starts ticking. Every day your restaurant is not open is a day you are not putting money back into your pocket. To ensure your restaurant opens as soon as possible, we offer a complete project management service. This service allows you to focus on the other needs of your business. Boneheads has relationships with financial institutions that have experience in assisting franchisees in obtaining financing. Boneheads supports you with a consolidated equipment package that covers every piece of equipment in your restaurant, from a three-ounce ladle to the ice machine. Due to volume purchasing discounts, you're able to buy restaurant equipment at a great price. We've carefully refined this package to fit the exact needs of your restaurant. You will earn a degree from the Boneheads Training School when you complete the on-site training program. You will learn everything from register operation to grilling the perfect Piri Piri Chicken to staff hiring to accounting procedures. Once you've learned how to develop your sales and marketing plan, set up your back office, and hone your restaurant management skills, you'll be ready to hit the ground running. This manual provides detailed instructions on hiring, training, motivating employees, day-to-day operations and accounting. The manual is a blueprint for all of our operational systems. But support doesn't end once your store is built, your staff is trained and your business is opened. Each store is assigned a business consultant who will assist in the strategic and operational questions that you will inevitably encounter after your Grand Opening. Each one of our business consultants has intimate knowledge of the operation of a Boneheads franchise and can help you through some of the finer points of operating your business - from scheduling to accounting to driving top-level sales to cutting costs and retaining quality. Experience the spice of life as a Boneheads restaurant owner! Boneheads is not currently active in our directory, but here are some other recommended selections for you to explore.